The Southeast Partnership for Advanced Renewables from Carinata-SPARC is only six months old but, has been in the making for several years. What started as a collaboration between the University of Florida at Quincy, Agrisoma Biosciences Inc. and Applied Research Associates Inc. limited to identifying superior genotypes of carinata for North Florida, is now a nine institution strong industry-academia partnership comprising some of the finest professionals, charged with developing a sustainable supply chain of renewable fuel and coproducts from carinata in the US Southeast. The research and developmental activities thus far have been supported by UF administration, Agrisoma, the Florida Department of Agriculture and Consumer Services and we are ever grateful for that. Their support helped us find answers and ask new and bigger questions-the questions we now seek to answer together through SPARC. We are thankful for the individuals that came alongside us to ensure we had a winning proposal which kept making its way to the top of the stack and finally picked as one of only two proposals out of twenty four to be awarded by USDA-NIFA. Congratulations! Now let’s continue to work with each other to deliver our very best, right on time! UF and Agrisoma have been screening advanced carinata genotypes, over the past 5 years, across North Florida to identify high yielding, early maturing, cold hardy, and disease tolerant genotypes with high oil content and desirable fatty acid composition. As a result, several genotypes were identified that provide opportunities to increase carinata seed yield by 40% and increase oil yield by 2% over existing commercial varieties. Agrisoma’s pipeline varieties, after benefiting from several years of phenotypic recurrent selection and half-sib selection with progeny testing in the region, promise higher yielding early maturing varieties that would complement prevalent summer crop rotation systems in the US Southeast. Successful commercialization of carinata based renewables will depend on reliable and sustainable year round availability of feedstock; therefore expansion of feedstock production across the southeastern US, as determined by adaptability, will strengthen the supply chain. To establish the adaptive range of carinata, SPARC cooperators planted 16 advanced carinata lines that have potential for near future commercial deployment at 15 locations in Alabama, Florida, Georgia, Mississippi, North Carolina and South Carolina. This geo-spatial approach to feedstock testing will provide a framework to assess the potential production, productivity, determine production sensitivity to resource management and climate variables and identify productive regions for commercialization and supply chain development. As commercial carinata acreage expands from the panhandle of Florida to more northern states in the southeast, it is important to determine the latitudinal limits of winter production and quantify cultural practices that enhance cold tolerance. Tillage practices are expected to play an important role in the degree of frost tolerance of carinata due to the maintenance of crop residue on the soil surface, which may protect the crop from freeze damage, and differences in soil temperature during establishment. Integration of fertility management is important on the characteristic sandy soils of the SE in order to meet crop demand as well as limit nutrient movement to water bodies and groundwater. Fitting carinata into current crop rotations will provide growers with additional income, but rotations that are economically and agronomically feasible have not been defined. Existing common cropping systems in the Southeast include corn (Zea mays L.), cotton (Gossypium hirsutum L.), peanut (Arachis hypogaea L.), soybean (Glycine max (L.) Merr. ), and sorghum (Sorghum bicolor (L.) Moench). The selection of regionally appropriate cropping systems for double cropping carinata is currently limited by the planting and harvest window of summer cash crops. Research on early maturing carinata lines combined with harvest management practices ideal for the Southeast will help overcome that limitation. Integration of tillage, fertility, and rotations for sustainable carinata production may provide enhanced ecosystem services for water quality, carbon sequestration, and integrated weed management. The effects of previous summer crops on carinata production as well as the effects of carinata production on subsequent summer crops will be determined in two long term cropping systems study in Jay and Quincy FL. We will delineate regions of sustainable carinata production in the SE and identify those rotations that are both economically and agronomically viable. Tillage effects on frost tolerance of carinata will be quantified and recommendations will be developed and extended to growers and industry professionals through field days and workshops. David Wright is a Professor of Agronomy at the University of Florida since 1977, specializing in row crop management in the Florida panhandle, Georgia and Alabama. During the more than 40 years of his career he has served clientele in the region through dissemination of his extensive research on cotton, peanuts, corn, soybean and other row crops. His focus is on increasing crop productivity, sustainably, through integrated cropping systems. He is well respected in the region for his research on a rotational production system also known as the sod based rotation system that incorporates a perennial grass into a row crop rotation cycle. He is a big advocate of integrating crop and livestock as well as using cover crops. His involvement with Brassica carinata began in 2011 through his collaboration with industry partners working with several oilseed crops for drop-in advanced biofuels. 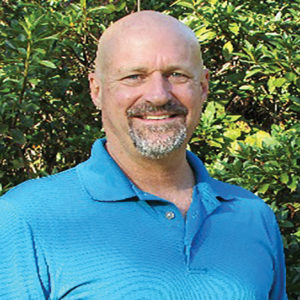 Dr. Wright spearheaded carinata research at the University of Florida trying to understand the crop’s agronomics, identify best cultivars and develop best management practices for the crop in the Southeast US. His efforts resulted in the establishment of a strong inter-disciplinary regional carinata research team in the region that ultimately led to SPARC- a multi-million dollar USDA-NIFA Coordinated Agricultural Project. He remains committed to making carinata a feasible option for the producer as well as for all stakeholders downstream to the farm gate, while enhancing environmental benefits obtained from introducing it into existing cropping systems in the Southeast US. Dr. Wright was born and raised in Tennessee, and obtained his undergrad and graduate degrees from Tennessee Tech. University and Virginia Tech, respectively. He has a passion for farming and would rather be working on his land in his “free time”. Jeff Klingenberg is Vice President of Product Development (Agronomy, Plant Breeding, Production, Regulatory and IP) at Agrisoma Biosciences, Inc. Dr. Klingenberg has over 25 years of research and product development experience ranging across several crop species and applications. This broad experience comes from his long stint with the agriculture industry, some of which include Seeds West, Inc., Delta and Pine Land Company, Bayer Crop Science, Mendel Biotechnology (merger into Koch Bros.), Repreve Renewables (now AGgrow Tech). During his career he was responsible for the release of multiple varieties for commercialization, patent development, technology validation, and steering IP asset transfers. Dr. Klingenberg and team have spearheaded the commercial deployment of Brassica carinata in the Southeast US as well as Europe, South America and Australia, putting this advanced biofuel and bioproduct feedstock in the forefront of advanced renewable options. He actively collaborates with the research and extension arms of the land grant universities of the US Southeast and Northern Plains to maintain a relevant research, development and outreach program. This is in coordination with the ongoing carinata crop improvement program at Agrisoma Biosciences Global Product Development operation. He is an excellent asset to SPARC as a liaison that fully understands the intricacies and pace of research and development as well as the needs of stakeholder groups within the biofuel and bioproduct space. 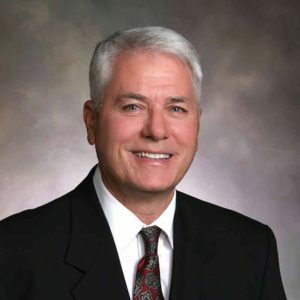 Dr. Klingenberg was born in Yuma, Arizona and raised on the family farm in the Wellton-Mohawk Valley along the Gila River, and obtained his undergraduate, Masters and doctoral degrees at University of Arizona, New Mexico State University, and University of Nebraska, respectively. He has a great love for water skiing and motorcycle riding which he does in his spare time when he’s not convincing people…”why carinata”?